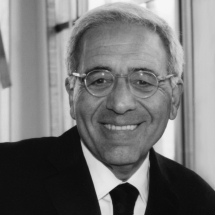 Who: Reynold Levy, internationally renowned philanthropy leader who recently completed a 13-year tenure as president of New York’s Lincoln Center for the Performing Arts (which includes The Metropolitan Opera, the New York City Ballet and The Juilliard School). Author, They Told Me Not to Take That Job: Tumult, Betrayal, Heroics and the Transformation of Lincoln Center. Levy also has been president of the International Rescue Committee (and is still on its board), and has led the AT&T Foundation, AT&T’s government relations, and the Task Force on the New York City Fiscal Crisis. What: Free Public Lecture, Two and a Half Cheers: The Triumph of America’s Third Sector and Its Twenty-first Century Challenges. Levy will share colorful stories and lessons learned from his career in nonprofit and for-profit leadership and discuss cultural differences in philanthropy, under the auspices of the Stead Family Chair in International Philanthropy at the Lilly Family School of Philanthropy. Levy will sign his book before and after the lecture. Media are invited to attend and cover the event. When: September 28, 5:30 p.m.
Levy is adjunct professor at Columbia University’s School of International Affairs, a consultant to nonprofits and foundations and a senior advisor to General Atlantic, a private equity firm. He is chairman of the board of the Charles H. Revson Foundation, a member of the Council on Foreign Relations, a trustee of the National Book Foundation, a fellow in the American Academy of Arts and Sciences and a member of the Tony Awards Nominating Committee. The Indiana University Lilly Family School of Philanthropy is dedicated to improving philanthropy to improve the world by training and empowering students and professionals to be innovators and leaders who create positive and lasting change. The school offers a comprehensive approach to philanthropy through its academic, research and international programs and through The Fund Raising School, Lake Institute on Faith & Giving and the Women’s Philanthropy Institute. Follow us on Twitter @IUPhilanthropy and “Like” us on Facebook. For more information, visit philanthropy.iupui.edu.